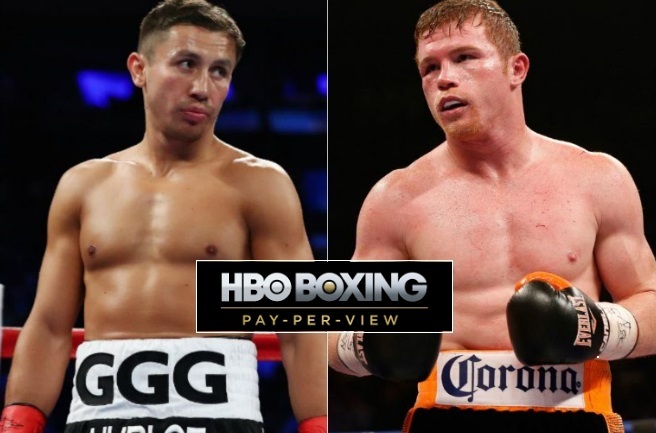 One of the most anticipated boxing fights of 2017 has been sealed, signed and confirmed with Canelo Alvarez taking on middleweight kingpin Gennady Golovkin on 16th September 2017 in Las Vegas mostly probably at the MGM Grand Garden. The fight was officially announced after Alvarez dsiposed off Julio Chavez Jr in 12 round unanimous decision. However small details like venue, purse split and the weight are yet to be decided. The fight is expected to be officially announced by the end of May 2017 with first press-conference where details like promotional tours, tickets and PPV will be confirmed. This will be one of the biggest fights of the year and in terms of revenue will easy overtake Joshua vs Klitschko largely down the the fact its taking place in United States. HBO and Golden Boy expect around 2 million PPV buys atleast and at that rate they can easily hit $100 million in revenue. Canelo Alvarez is expected to take slightly bigger chunk of the purse with 60:40 share where he can clear anywhere around $25 to $35 million depending on the PPV numbers. Golovkin is also guaranteed to take his career best earnings between $15 to $25 million. NETWORK HBO will broadcast the fight live in United States via Pay Per View priced at $59.95 while UK viewers can watch the fight through BoxNation. TICKETS Tickets details are yet to be announced and we can expect tickets to go on sale by end of May 2017 after the first official press conference. UNDERCARD Golden Boy Promotions are playing a major role in putting this fight together and we can expect couple of decent fights on the undercards. Again more details about Undercards will be available after the first press conference. We will update this page with more details once the promotion tours start. Both of these fighters are at top of their game and the winner of this fight will go down as one of the great fighters of recent history. Boxing fans across the globe were delighted at the announcement of this fight and to be fair there is hardly any fight available in boxing today which can generate more hype and “Drama Show” as Golovkin likes to call it. I need tickets! How much are they?